BMW Technik GmbH was launched in 1985 with the mission to develop innovative solutions for a large number of aspects associated with individual mobility. The specialists working in the newly established department were able to get to grips with this mission successfully in the very first project they tackled. They developed the BMW Z1 roadster. This vehicle project was intended to trial innovative materials, launch a revolutionary bodywork concept, and highlight opportunities for optimizing development processes. The result was so impressive that already three years later the first out of a total of 8,000 series vehicles left the Munich BMW Plant. 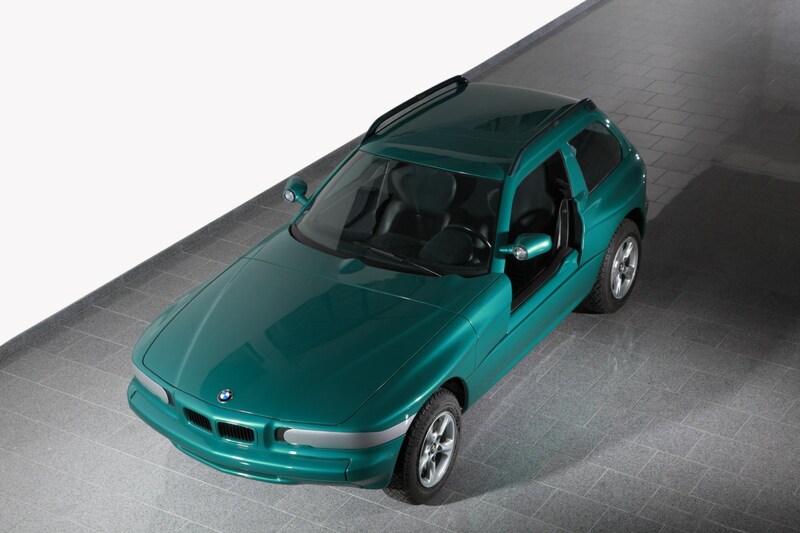 With its plastic body, vertical sliding doors and fascinating handling properties, the BMW Z1 was not simply the first milestone in the history of BMW Technik GmbH – it also made its mark as an exceptional phenomenon on the road. The engineers working for the think tank first established as BMW Technik GmbH created a sensation with their first development. They pooled their ideas for a completely new vehicle concept in a two-seater roadster. During this process, they developed a type of car that had virtually been forgotten in the mid-1980s. The first project was therefore already a perfect example of the very special approach being taken by the company. The highlights of the BMW Z1 went far beyond the body design that was received with such rapturous acclaim by the public and the 125 kW/170 hp six-cylinder in-line engine that served as the power unit. Development of this open sports car started in the second half of 1985, and ultimately this car was planned as a pilot project for innovative vehicle structures, the manufacture and application of new materials, and the optimization of development processes. The structure of the BMW Z1 comprises a monocoque-type steel chassis with a bonded plastic floor. The car’s bodywork is made of special elastic plastics that are not sensitive to damage. New thermoplastic materials and sandwich components were used. The comparatively high side sills provide a degree of protection for the passengers that had not previously been achieved in a roadster. The powered vertical sliding doors were the eye-catching visual highlight of the design. Engineers developed a completely new suspension for the rear-powered wheels in order to ensure that the BMW Z1 with its top speed of 225 km/h also qualified with flying colors in the discipline of future-proof driving pleasure. The so-called centrally spherical double wishbone system used for the rear axle formed the basis for the handling of the roadster, which resembled the performance of a go-kart. This design was later to form one of the key factors in the agile handling experienced in the mid-range models of BMW, when it became the Z-axle in the BMW 3 Series. 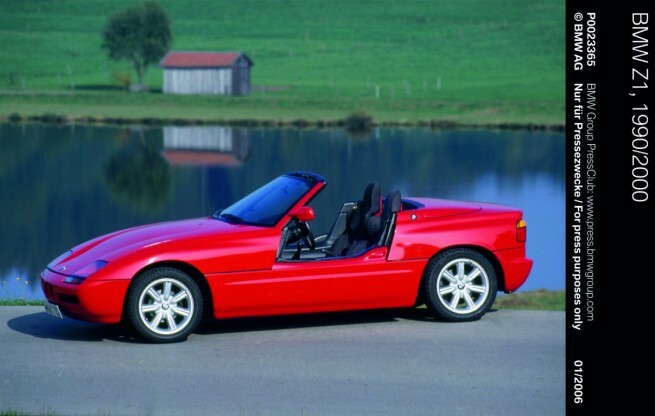 Even today, the BMW Z1 is a model for aficionados – even though the concept was originally not intended for series production. BMW Z1 Coupé: The base for the platform concept. The original research project – that was ultimately to bring forth the creation of the BMW Z1 – included fundamental research in the areas of bodywork construction, materials and development processes. Right from the outset, this included pushing out the envelope and applying the newly created methods to several vehicle concepts. 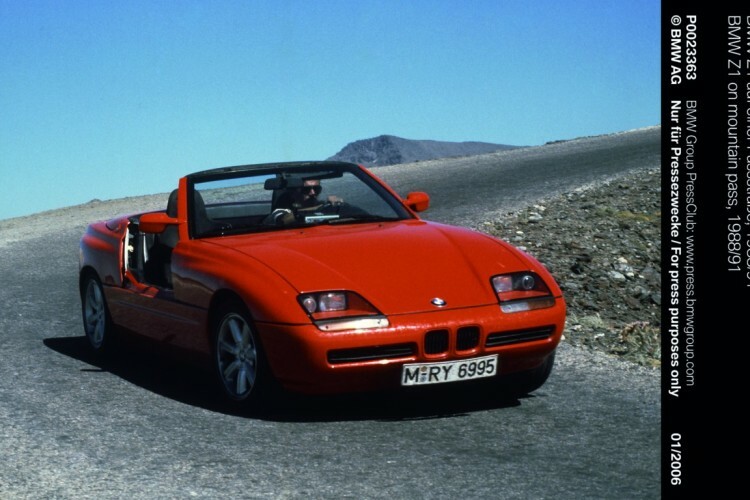 The BMW Z1 became a runaway hit with the public as a fascinating roadster, and it had the potential for being joined by other model versions using this approach. Plans included a coupé and a four-wheel drive version of the BMW Z1. The prerequisites for this kind of diversification were engineered into the design of the floor pan, and chassis. And a design was actually created for a BMW Z1 coupé that is virtually unknown in the public arena to the present day. 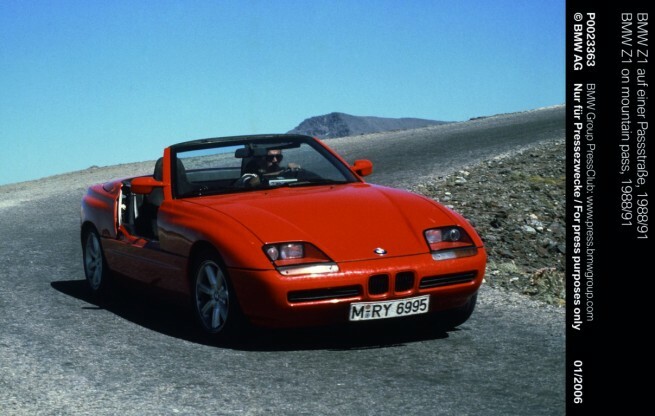 While the BMW Z1 coupé never succeeded in getting on the road, the innovative platform strategy was used for the first time only a few years later during the development of a series vehicle. In 1995, BMW presented the BMW Z3 roadster. The two-seater immediately captured the public imagination as a puristically open symbol of sheer driving pleasure. By contrast, the potential for an expansion of the model range was not, however, obvious at first glance. 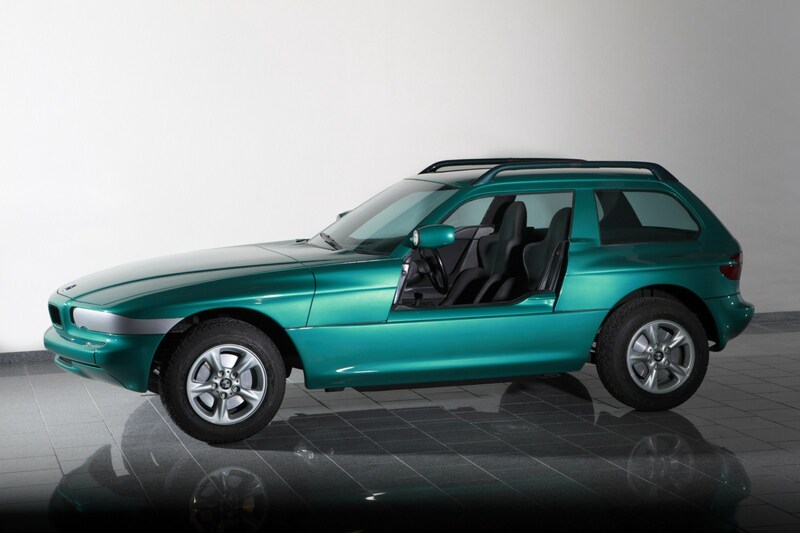 The concept was realized in 1998 when the BMW Z3 coupé was launched in the marketplace. This flexibility gained in the development of additional versions was also deployed for the successor model. The BMW Z4 made its debut as a roadster in 2002, and it was joined by the BMW Z4 coupé four years later.